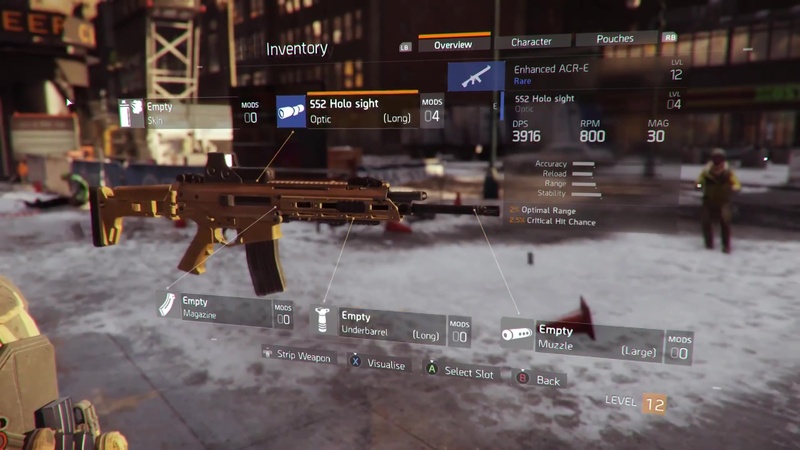 The weapon arsenal in The Division consists of 7 different types, ranging from pistols to more powerful calibers from the Assault Rifle and Marksman Rifle sector. For lashings of extra boom, various skill-based gadgets like Turrets or Seeker Mines round off this offer. Guns can be adapted similarly to the equipment to your individual needs and several modifications ensure that the role-playing aspect isn’t missed out. Also mentionable is that most of them come in different variants. 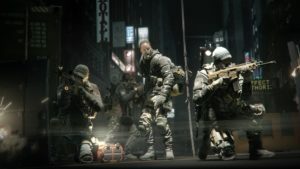 During the development process, the developers put a lot of emphasis on authenticity, which is why they got the for video game titles like Tom Clancy’s Ghost Recon famous and well-known developer studio Ubisoft Red Storm on board, to assist with creating the weapons and all related stuff (3D-Design, sound recordings). The player can carry up to 3 weapons simultaneously, namely a primary and secondary weapon plus one sidearm (Pistol), while the latter has infinite ammo. But this should not detract you from collecting new ones. Quite the contrary! Your inventory can accommodate multiple weapons at once, but is limited by a certain number of free slots which is defined by the quality of your Backpack. Additional weapons can be stored in the Stash, which can be found in the Base of Operations, in Safe Houses and in Dark Zone Checkpoints. DMG: How much is the weapon capable of doing per shot. Scales with Firearms. RPM: Defines how fast – how many Rounds Per Minute – your weapon can fire. MAG: How many rounds can be fired before your magazine needs to be reloaded. while the other 4 are telling you in which way it affects your gameplay and gun handling. Exotic Weapons have 3 unique Weapon Talents and can be acquired once your character has reached level 30. While there is no guaranteed way to get them, the best chance might be through completing missions on Legendary difficulty as well as killing Named Bosses, but also other sources of loot can drop them. In the following section you can find a list of all weapons that are currently available in the game, grouped according to their archetype. The overview is based on screenshots, artworks, videos as well as several interviews and data-mining. Pistols, or sidearms, are very accurate at short distances and easy to handle. All sidearms (also includes a couple of Shotguns) have infinite ammo and are basically your last resort in combat. As a side note, the below listed Flare Gun is not a real item, but is automatically used when calling for an Extraction in the DZ. In Survival, however, it needs to be crafted first. Shotguns are designed for shooting at short distances and are ideally suited for urban warfare. They offer high mobility and high damage, but with very limited range and rate of fire. NPCs can be staggered when being hit by a Shotgun, while it causes the aim to flinch of real players in PvP. Submachine Guns (SMG) are fully automatic handguns designed to fire pistol cartridges. When using an SMG, your Critical Hit Damage is increased. Assault Rifles are relatively lightweight and compact multi-purpose military rifles. They are well-balanced fully automatic weapons with a moderate amount of recoil, most useful at medium range. 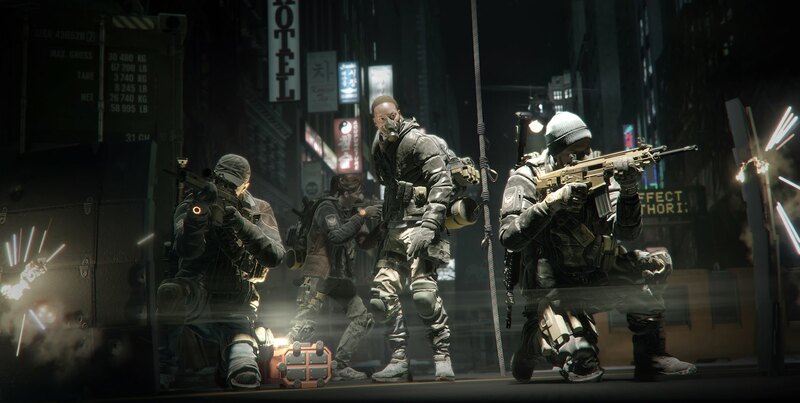 In The Division they are well suited for shredding the enemy’s armor due to the additional Enemy Armor Damage bonus. In PvP, a percentage of the target’s armor equal to one-third of the shooter’s Enemy Armor Damage is ignored. Light Machine Guns (LMG) are high-powered fully automatic weapons with large capacity magazines, but which require some time to stabilize when firing. Although the enemies’ AI can be easily suppressed and forced into cover, making use of the increased DMG to targets out of cover should be your goal when using an LMG. Designated Marksman Rifles (DMR) are self-loading rifles with a telescopic sight and high-powered precision. A DMR closes the gap between an Assault and Sniper Rifle. Extra Headshot Damage bonus is applied when such a weapon is used in the game. The Division also comes with a half dozen different grenades, which can either deal high damage or apply certain Status Effects to targets. Weapons can be equipped with modifications that are nothing else than items. 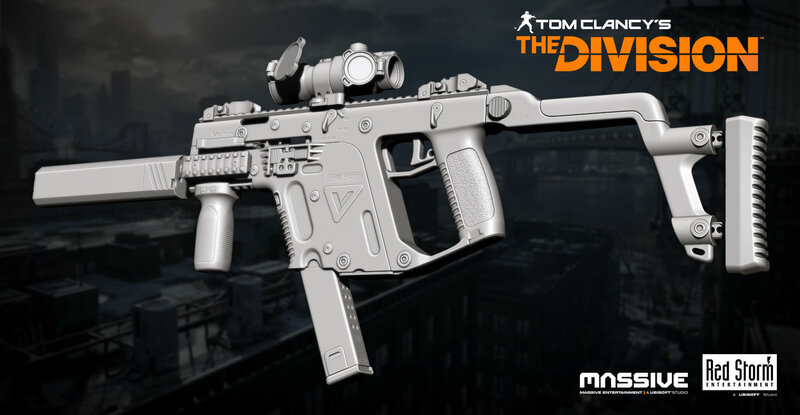 The number of modifications that can be attached is based on the number of mod slots the weapon has, which in turn depends on the weapon’s archetype, item level and rarity level. Because mods are handled as items, their quality is also based on a rarity level and item level and can have multiple random bonuses. The Division also supports aiming down sights (ADS) if you apply a proper scope to your weapon. This means that the camera switches its position so that you can directly look through it which makes aiming more accurate. However, it is not supported by all of the scopes. In the fight rather meaningless, but for many players of great value are weapon skins. An additional mod slot allows you to apply either a color or a whole skin camouflage pattern to your gun. You can get new weapon skins by looting any kind of chests in the world, enemy NPCs/players or by helping out civilians. Here are 2 examples of the Hazmat (pre-order bonus) and National Guard (Gold Edition exclusive) skin, both for the POF P416. The Division handles weapon firing modes in a more uncommon way, meaning that you are not able to switch between firing modes like automatic, burst and single shot on the fly. However each weapon item drop defines or preselects its firing mode, e.g. you can find a normal MP5 that is fully automatic, while also MP5s with burst firing mode can be found. Different guns require different ammunition types. In addition to the guns’ default ammunition which is shared with other ones of the same archetype, you can use special ammo consumables that can temporarily buff your weapon’s efficiency. The number of bullets you have left can always be looked up in your inventory. The following render shots are taken from a presentation held by Red Storm Entertainment at the zBrush Summit 2014. Besides the 6 images, you can also watch the video of the presentation here.